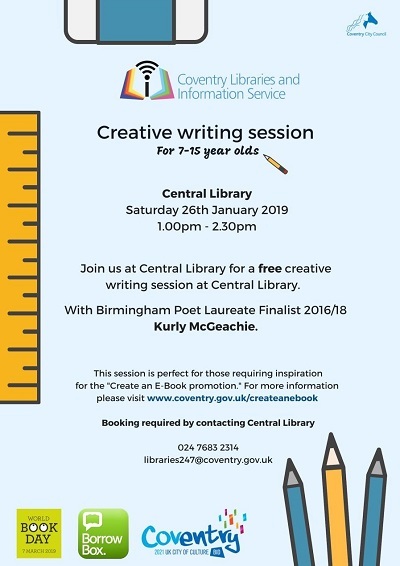 Kurly McGeachie, Birmingham Poet Laureate finalist, will be leading the session and inspiring people to create their own stories and poems. The free event will also provide advice and assistance for anyone interested in creating an e-book for World Book Day in March. The session will take place from 1pm -2.30pm and booking is required by contacting libraries247@coventry.gov.uk or calling (024) 76832314. Find out more about creating an e-book.